Engine Light, Fluid Leaks, Vehicle Does Not Move, Gears Slip, Shifting Problems? Contact us today! Because today’s cars, trucks and SUVs are controlled by computers, it takes a real transmission expert to properly diagnose your problem. These problems should not be ignored, the longer they continue, the more damage may be caused. Before your vehicle becomes inoperative, bring your vehicle to our shop for an Diagnostic. Our comprehensive process begins with a series of tests to narrow down exactly what your problem might be. This examination will help determine if you just have an external problem or if you possibly have another type of malfunction or internal transmission problem. The Diagnostic includes putting your car on a lift, examining the external controls and fluids, and road testing your vehicle. If you only have an external problem, our mechanic can take care of the problem before it develops into something bigger. If we uncover a more serious malfunction, then we will discuss with you the other services that may be necessary to get your vehicle back on the road as soon as possible. Ford 6.0 and 7.3 Diesel Truck Services: Repair & Maintenance for Optimum Performance. Not every automotive shop is capable of taking care of the complex needs of 6.0 Ford diesel trucks, but don't let that prevent you from keeping your truck safe and running efficiently. Our skilled technicians at Herrington Automotive can provide a variety of services specific to 6.0 and 7.3 Ford diesel vehicles. 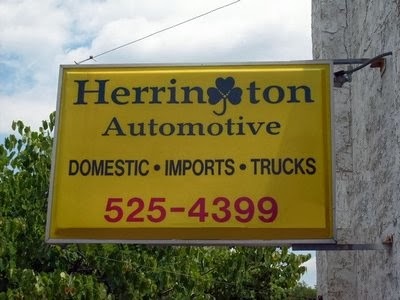 At Herrington Automotive, we specialize in transmission and clutch repair service. We will complete the repair or maintenance task you have for us in a professional, timely and efficient manner, always right, first time. Our skilled and experienced technicians, ongoing training, state-of-the-art equipment, and our "can do" attitude, make us the only logical choice for all of your automotive transmission needs. When it comes to diagnostic work, general repair, and preventive maintenance of your transmission, there is no reason to go anywhere else, we have reliability and quality written all over us.